Every now and then I think about a theme we have been working on over the years have a few activities and printables. I love having them all in one place. Today I have the round-up for Farm and Gardening. This has all the activities and printables around it! There are so many fun ideas that you can do with these themes. We always have tons of fun with them. There are divided up into different sections below. You have the printables and then the activities and crafts in another section. There are loads of ideas for you to check out. Below you are going to find a few different types of printables. 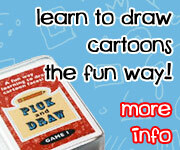 You are going to have themed packs, learning to read, ABCs, colors, numbers, math and more. Each is put into a different section for you to check out. Farm Printables was the first themed pack I made. It is great for Prek to Kinder. Farm Pack Update has 54 pages of activities for learning to read and math activities included. Little Red Hen Pack is also great for a farm and garden theme. It has over 65 pages of activities to do. Build Up Summer Learning: Week 4 Farm has levels tot through third grade. 5 Days of EIEI-OH Farm Printables 5 days of fun printables with other bloggers joining in as well. 6 Fun Days of Garden Themed Printables – this has 6 fun printables with other bloggers joining in as well. Fine ABC letter Find has uppercase and lowercase letters that kids can find with a barn theme. Farm Animals ABC Lowercase Easy Reader Book is a great way to work on animal beginning sounds. Hands-On Learning With Tractor Color Clip Cards & Matching Book is a fun way to work on color words. Fun Garden Themed ABC Easy Reader Book is an easy reader book with an ABC theme. Garden Themed Beginning Sounds Matching is a fun matching game with beginning sounds and blends. Fun Writing Activity for Rhyming Words With A Garden Theme is fun work that work on rhyming type activities. Farm Themed Even and Odd Spinning Printable works on even and odd numbers for kids. Farm Themed Even and Odd Set is a full set of Even and Odd Activities that you can get. Farmer Themed Number Color and Trace is a fun no-prep printable that has numbers 0 to 22 with a farmer and egg theme. Farm Themed Number Color and Trace is a general farm themed number color and trace with loads of farm animals. Horse Themed Array Cards with Matching Worksheets is 12 task cards with 3 matching worksheets to use with the cards. Farm Themed Number Counting Mats: 1 to 10 are hands-on maths with counting and ten frames. Farm Number Find workds on number word and number digit. Roll a Farm Printable has three levels: counting, addition and multiplication. Garden Themed Subtraction Cards For Math Centers are easy to use cards for a math center. Fun to Use Garden Themed Area & Perimeter Cards are gread cards to work on a center style activity. Easy To Use Garden Fraction Puzzles is a great way to work on factions of different types! Farm Calendar has calendar cards that you can use with a fun pattern set included. This is where you will find all the activities, crafts, books ideas, or hands-on activities that we have done. Farm Sensory Bin is a fun sensory bin with counting activity. Little Red Hen and Making Bread is a fun hands on learning activity to go with the book. Wheat Stalk Fork Painting – Little Red Hen is a great painting activity that kids can do! Hogs Playing in Yarn Mud is a very fun craft to make for kids and goes with a great book. Green Yarn Sheep is a fun craft and activity to go with a book theme. Cow Who Clucked Gross Motor is a totally fun gross motor idea to do with kids! Poppins Book Nook: Farm has some fun books and introduction to a fun Farm theme. This entry was posted in learning fun, round up and tagged activities, crafts, farm, garden, printables. Bookmark the permalink.